I am continuing my teaching on the Gospel of John that I started a couple of months ago. Last week I spoke about the fullness of grace and truth in Jesus Christ. This week I want to complete the subject spoken of in John 1:17 that "the Law was given through Moses; grace and truth came through Jesus Christ." This scripture says that the Law was “given,” but grace and truth “came.” There was a measure of God's grace throughout the Older Testament scriptures, but the fullness of grace and truth came through Jesus Christ. Jesus is all Truth. The Law was given through a servant-leader (Moses), but the fullness of grace and truth came through the Son of God who is the Eternal God. A Son is closer to a Father than a servant. The firstborn Son is heir to all that belongs to the Father. Jesus also came as a Servant-Leader to fulfill the role of Moses and others in the Older Testament. And because Jesus is the Supreme Servant-Leader, those who love and follow Him are to also be servant-leaders. Because Jesus came to earth, the fullness of grace and truth are available to every believer. The Law was spoken to Moses by the voice of God. But, Jesus, who is God and the Word of God, actually came to mankind to bring His Word directly to them -- face to face. Jesus brought the whole Word of God to life in Him. He didn't just speak the Truth, He lived it. The Word resided in Him. When we live by the Word, it also takes up residence in us. We too bring Jesus to the world that is lost, not just by our words but also by our actions and deeds. Since Jesus is Truth, He is the One who opens Truth in its fullness. Truth is alive and active in Christ. His revelation knowledge is without measure. And He gives the Holy Spirit – the Spirit of Truth – without measure. Jesus gave us all that we need to know Him, His Father and the Holy Spirit. He gave us the Word of God and the Holy Spirit to reveal Him and give us the power to live His ways out in our lives. 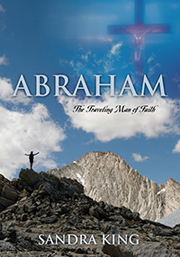 Jesus said that Abraham saw His day and was glad. The voice of God and veiled glory of God (Jesus) gave the instructions of the Law to Moses. It was the voice of God (Jesus) who spoke to Moses out of the burning bush. Jesus is the Eternal voice of God (Truth/Word) and the glory of God. Jesus revealed His Divine glory within to three of His disciples on the Mount of Transfiguration. (see Matthew 17:1-3) Moses and Elijah were standing with Him. Moses represents the Law and Elijah the Prophets, all of which Jesus fulfilled and will continue to fulfill until all is complete and perfect as it was in the beginning. Moses and Elijah faded away leaving only Jesus. Why? Their ministries pointed to Jesus. Moses and Elijah on the Mount only spoke to Jesus and Jesus spoke to His disciples. Why? They are now under the authority of Jesus. Moses and Elijah are also under the authority of Jesus. Moses and Elijah couldn't bridge the gap between heaven and earth. They could only speak to Jesus because He is the bridge between heaven and earth. Only Jesus spoke to His disciples, because they were under His authority not under the authority of Moses and Elijah. Jesus speaks Truth because He is Truth and gives grace (love and favor) because He is Grace (love). We have to learn the Truth and how to love like God and accept His grace, but Jesus is Love (Grace) and Truth. This is the very big difference between Moses and Jesus or any other human spoken of in scripture. Love and Truth are the very being of Jesus. The Law is an incomplete revelation of the Godhead and God's plan of redemption. Redemption is made complete once-for-all in Christ Jesus. The Law couldn't give the fullness of love, grace and truth it foreshadowed. Why? Because no human could give God's perfect love and grace since we have a sinful nature. No matter how holy and good we might be, we still have the weakness of flesh and cannot live up to God's standards. The One and Only sent of the Father –Jesus, who was, is and will forever be holy – is the giver of grace and the fulfillment of all Truth. The Law is holy, righteous and good if it is used properly – to lead people to Christ, not back to the Law. The Bible says that the Law is our tutor that leads us to Christ. We are to be moving forward, not backwards. Jesus brought a New Covenant that He sealed with His pure, perfect blood and the Holy Spirit. Law and grace cannot be mixed. The Law had the works of man attached to it. Grace is the work of God, Jesus and the Holy Spirit only so no man can glory in it or boast. The Law reveals our sinfulness and powerlessness over it. Hence, our need of Jesus and the Holy Spirit.”You see, at just the right time, when we were all still powerless, Christ died for the ungodly.” Romans 5:6 We are all powerless without Jesus and the Holy Spirit whether Jew or Gentile. The Law kept God's people until Jesus was revealed. After faith in Jesus has come, we have been released of any of our works to gain salvation. The Supreme Teacher and the Spirit of Truth came to reveal the whole Truth and teach all people. In Christ, we do good works out of our love for Him not to gain salvation. We can't draw people to Christ if we are nothing like Him. We are to be a reflection of Him as He reflected the Father. God gave Israel the Law so they would reflect His glory and holiness, but they failed because they have the weakness of flesh, just as Christians fail in their call because of sin. The Law relied on human power. Man had a part in the works of the Law, but grace and truth comes wholly and fully by God through Jesus. Under grace and truth, mankind can take no glory. “It does not depend on man's desire or effort, but on God's mercy.” Romans 9:16 Paul said in Galatians 5:4 that those who attempt to be justified by Law have fallen from grace. Jesus didn't need the Law either because He is the holy and perfect God in human flesh making Him perfect Man. Jesus obeyed the Law to fulfill it for all, not because He needed to do it to atone for His sin or make Him holy. He was already holy and remained holy. He had no sin even when He walked the earth in human flesh. Jesus is the Atonement for sin. The Law was for those who were lawless. Lawlessness means doing what is right in one's own eyes instead of what is right in God's eyes. In other words, sinning! Jesus only did what the Father told Him to do, and only spoke what the Father told Him to speak so He didn't have to obey a Law that was given for sin. He obeyed it as a Perfect Man who was Perfect God for all of us, not for Himself. The Law was given by the voice of God. The voice of God (Word) – Jesus – obeyed it perfectly once-for-all and paid the penalty for disobedience even though He was never disobedient. We are accepted in the beloved only through God's Beloved Son, not by anything we can do. Followers of Christ are to obey His Word not through demand or command but because of love for Jesus for all that He did and is still doing for us. 2 Corinthians 3:7: Now if the ministry that brought death, which was engraved in letters of stone, came with glory, so that the Israelites could not look steadily in the face of Moses because of its glory, fading though it was, will not the ministry of the Spirit be even more glorious? If the ministry that condemns men is glorious, how much more glorious is the ministry that brings righteousness? For what was glorious has no glory now in comparison with the surpassing glory. And if what was fading away came with glory, how much greater is the glory of that which lasts. Therefore, since we have such a hope, we are very bold. We are not like Moses, who would put a veil over his face to keep the Israelites from gazing at it while the glory was fading away. The glory of God in fullness in Jesus was veiled in the Older Testament scriptures. The glory that Moses had on his face when he came down from being in the presence of God faded away. But, the glory of Jesus never fades away. His is an eternal glory. God lifted the veil and revealed the fullness of His glory in His Son Jesus. “For it is God who said, 'Let light shine out of darkness,' made His light shine in our hearts, to give us the light and knowledge of God's glory displayed in the face of Christ.” 2 Corinthians 4:6 Jesus never lost His glory even when He walked the earth because He didn't sin. His Divine glory was only veiled by His flesh at His first coming. We will see Him in all of His glory when He comes again at His second coming and for all eternity. God loves the Jewish people, and we are to love them also. We owe them a tremendous debt of gratitude. Without the Jews, we wouldn't have the written Word. In spite of their disobedience and sinfulness, the Jews preserved the Word of God for all of humanity. Because of the disobedience of the Israelites, God had not spoken to the Jews for over 400 years before Christ came to earth. God didn't remain silent forever. God showed them His undying love by sending His Son into the world through them to forgive their sins, pay the penalty for sinning against God and to fulfill the Law. God chose to bless the Jews --even though they were sinners as He does His Church by sending His Son to save us and give us eternal life. Christ came through a Jewish woman. Salvation is indeed of the Jews. Sin is a barrier to the presence of God. To demonstrate HIs love and forgiveness to all -- both Jew and Gentile -- God sent His Son to remove the sin barrier by His blood so all could come into God's presence. Jesus came for the errant Jews as well as the errant Gentiles. We are all special in the sight of God because He created us in His image and likeness in the beginning. Humanity was created to be God's offspring. Unfortunately, God's perfect, holy creation was marred by the original sin of the first Man and Woman. No other person in scripture could save us and give us eternal life except one who was God (holy and sinless). It was a holy man who ruined His glorious creation. It must be a holy Man who will restore it. Jesus wasn't just the greatest Jew to be on the earth, He was the greatest human because He is God in the flesh --perfect and holy. Jesus -- with the Father and the Holy Spirit -- is God over the whole universe. This is why He is exalted above all. Yes, even above the Law. When God looks at mankind, He sees His erring children no matter what nation, tribe or tongue. And the desire of His heart is that we all be saved by His chosen and precious Son who was so connected to His Father's heart by His actions, words and deeds that they were One. It's a matter of the heart and love. The greatest gift we can give Him that will make Him happy is our heart filled with love for Him and for others. That's it! And if we think there is any other way, we have been deceived. We can celebrate feasts, wave banners, blow shofars, shout, genuflect, bow down etc., but it is our hearts and love that please Him. There are many ways of worshiping the Godhead, but the supreme worship He requires of us is that we love Him with all of our hearts and love others as ourselves.